Oh my goodness I have been busy lately. Both privately & scrap wise. Work is nuts, and sleep hasn’t really happened lately. BUT – I have been creative. My oh my, have I ever. Some of it I can share, some of it will have to wait. So – without further ado – sharing it is!! But I’m warning you – I am sort of scraplifting myself at the moment. I have found a concept I love, and I’m following it every time I start creating something new. Is that bad?? First – my take on the latest Challenge Me Happy challenge – a recipe this time! 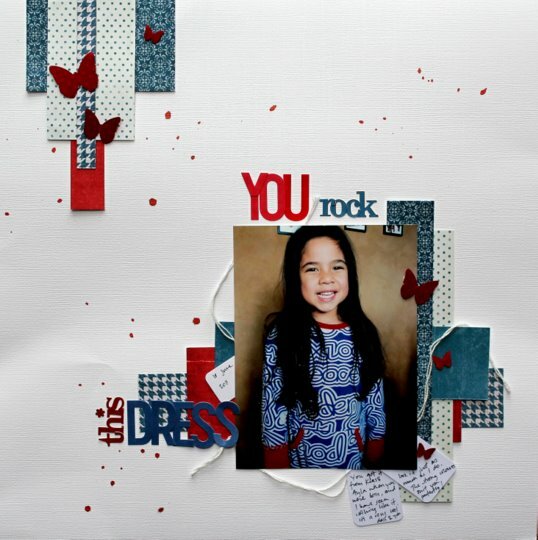 My first LO for my new term with Scrappin’ Patch, using Echo Park “Yours Truly” range. For more details, check out the blog here. Then my first 2Crafty LO, and I have also used some cute resin flowers from D-Lish scraps. For more details, check out the 2Crafty blog here. Another really exciting thing for me, is that I am the featured card designer on the Nook blog. 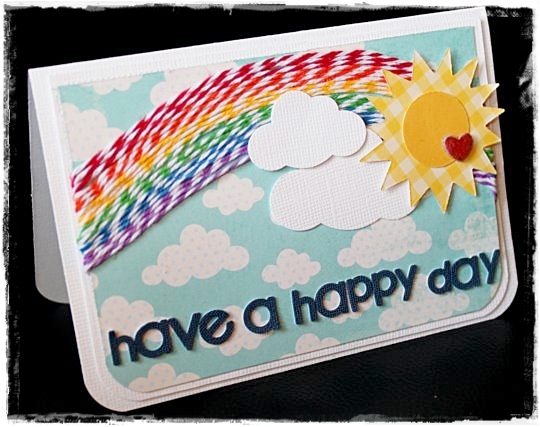 Seeing as I have just recently started making cards, this is a huge BUZZ! One of the cards featured is this one that I made for a colleagues birthday recently. Did you know I love twine? Well, that’s it for today. Thanks for stopping by!! 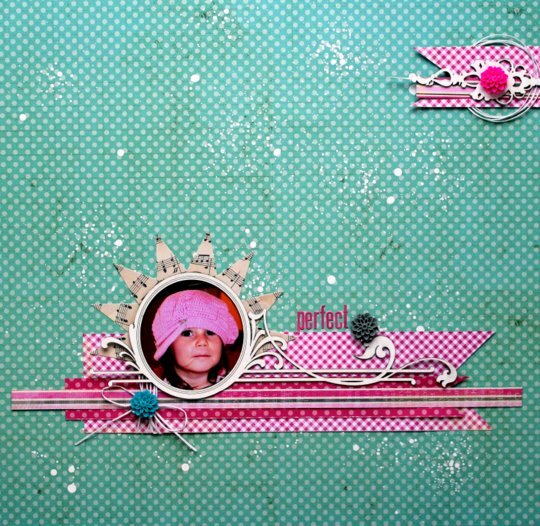 This entry was posted on February 3, 2012 at 8:06 pm	and is filed under 2Crafty, Challenge Me Happy, D-Lish Scraps, Scrappin' Patch. You can follow any responses to this entry through the RSS 2.0 feed. You can leave a response, or trackback from your own site. Of course its OK to scraplift yourself – I do it all the time. LOL. 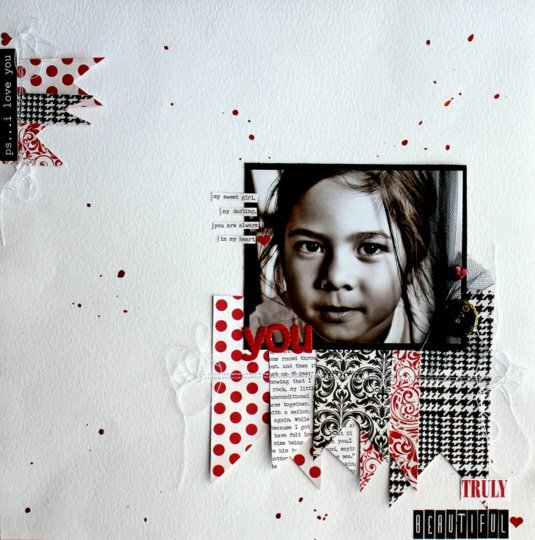 Love that Echo Park one of Tova and thinking it would make a great one for a scraplift??? LOL I wasn’t going to get that range but you just might have tempted me. ohhhhhhh i am SO making (aka stealing the idea) of that twine rainbow!!!!!!!!!!! Certainly not – there is not a thing wrong with using the same technique on several layouts – why mess with perfection aye?! In fact that is exactly what Ali Edwards recommends:) Loove the look, and the card is delish! well done! I love all of them! I know how busy and crazy this week has been, so it is impressive that you managed to get all your assignments done. I think it’s great to use the same technique, if it works then why not?! Beautiful LO’s and such a cute card. Especially love the first page. I shall have to check out that EP collection soon. Suuuuupersnyggt kort! Älskar vad du gjort med twinen. Och Perfect-LOn är fantastisk!